Anyone else watching #DecemberCPE while doing #QBOchat today? @QBOchat Tiffany and the Share a Refund crew checking in for today’s #QBOChat. How’s everybody doing? @CathyIconis It’s a two part-er…. Congratulations to @tsheets! Wonderful exciting news! Good afternoon, everyone! Chris here from JMA Web Technologies, proud #QBOChat trending sponsor! 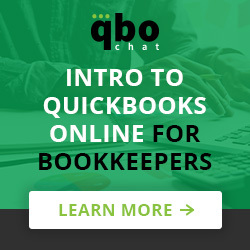 Hi #QBOChat! Just waving and hovering from here is St Paul. Still way behind on client work, I’m afraid. sorry guys I gotta run ! @QBOchat @balsamway @tsheets @Intuit Thank you for the opportunity to demo. We appreciate our #QBOchat friends! @avalara Oh my gosh! I didn’t!! And how did I manage to miss the #QBOChat meetup? Now I’m nose to the grindstone AND sad.. #QBOChat But that award is pretty awesome. Congrats @MeganTarnow on your prestigious award! @racbookkeeper @SherrellTMartin IS there such a think as ‘enough’ coffee? @BizBooksCloud @vheckman @QBOchat I actually really like it. .It makes it clearer that there could be multiple matches.I can open it and select the one I want. Which is great when you have 15 wire transfers for the same amount on the same day go through, and 7 that didnt…..
@CathyIconis @BizBooksCloud @Hubdoc Hmm. I just pop out the pdf and close the window. It doesnt download or save anywhere. 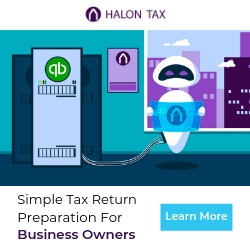 @kninjaknetwork @BizBooksCloud @Hubdoc explain “pop out” #QBOchat Right click and open in new window? @Hubdoc @kninjaknetwork More feedback is to have you guys join us on #QBOchat more. We miss you! !